Dr. James (JC) Cahill is a Professor of Ecology in the Department of Biological Sciences at the University of Alberta. He received his PhD in Ecology and Evolutionary Biology from the University of Pennsylvania. Afterward, he served briefly as a Visiting Assistant Professor at Ursinus College and then on the faculty at the University of Delaware before joining the faculty at the University of Alberta where he has been for about 15 years. JC is here with us today to share his journey through life and science. Some of JC’s hobbies outside of science include playing tennis, cooking, strumming the guitar, and spending time with his family. 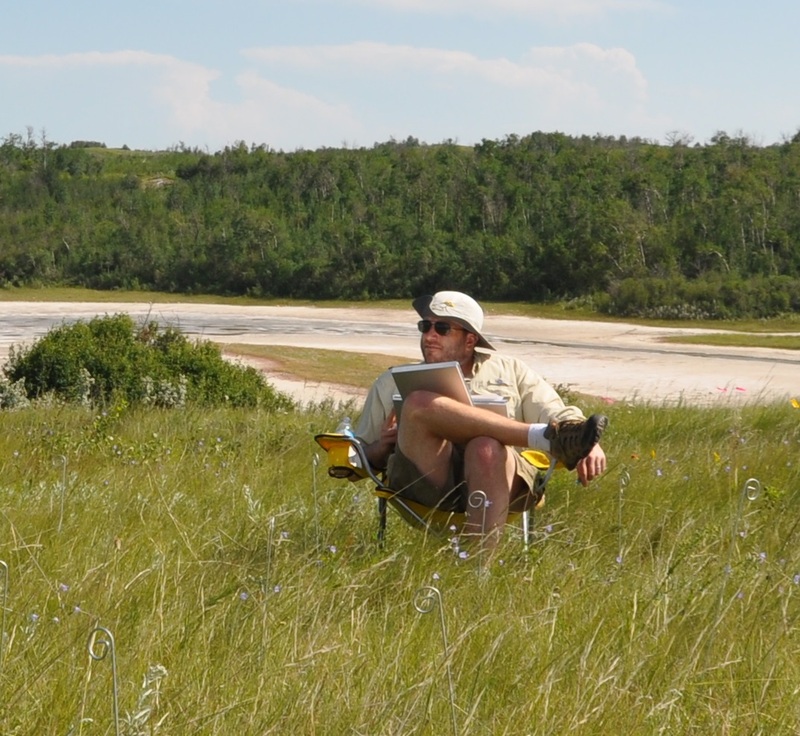 JC is an ecologist who studies interactions between plants and their environment. His research seeks to understand how plants interact in their pursuit of food, as well as how communities respond to environmental change. Don’t worry, it’s going to work out. JC’s family really valued education. He grew up surrounded by education and science and was planning to pursue a career in science from an early age. He was good at solving problems, but didn’t have great grades in college. Fortunately, a faculty member at his small college recognized his potential and brought him into the lab. This was an eye opening experience to see what a career in science could be. In science, a lot of experiments fail. It is just part of the process, and JC recognizes this. He mentions examples where results don’t come out as expected or rodents eat all of his seeds in a field experiment, but he doesn’t let these setbacks bring him down. Some of the most meaningful successes for JC are seeing his students go on to pursue careers that they are passionate about. A few of his students have gotten tenure track job offers, and one of his early PhD students was just recently awarded tenure. One of JC’s fondest travel memories is from a six week trip to Holland for a sabbatical. He was enthralled by the Netherlands, especially Amsterdam. While he was in Amsterdam, he immersed him self in the culture by walking through the city, appreciating the architecture, visiting fantastic museums, and stopping by some charming cafes. Since JC’s lab studies competition, they have been know to initiate competitive endeavors, challenging other labs to a soccer match or organizing sporting events for the whole ecology group. Everything is negotiable. In a university setting, almost any problem that you are faced with can be solved. JC in a plant ecologist, with a particular fondness for trying to understand how plants forage for resource, cope with enemies, and alter competitive strategies over ecological and evolutionary timescales. A key goal of this work is to understand how these social and behavioral interactions impact patterns of biodiversity, and the functioning of natural systems. JC and his research team use an experimental approach to addressing these issues, both in the field and in the greenhouse. As with most research in ecology, JC’s work has a number of implications for conservation, particularly in the context of invasive species and climate change. Above all else, JC’s interests are predominantly focused on helping develop the research skills of the team of researchers he works with – be they high school students, undergraduates, graduate students, or postdocs.